When designing any website, it’s important to remember that not all of your potential visitors are the same. Simple capabilities many of us take for granted – such as the ability to see web pages or use a mouse – aren’t an option for everyone. This means optimizing for WordPress accessibility is essential. Fortunately, there are plenty of ways to make your site more user-friendly, even for those with special challenges. All it takes is understanding what those visitors need, and taking a hard look at your site to see where it’s currently lacking. Then, you can use dedicated themes and plugins to make their lives a little easier (and expand your potential audience at the same time). In this post, we’ll discuss the topic of WordPress accessibility in more depth. Then we’ll introduce three simple techniques you can use to optimize your site for all visitors. Let’s take a look! A lot of thought and effort goes into building a website. You have to consider its design, layout, navigation, content, and much more. Along the way, it can be easy to forget about the diverse range of people who will end up visiting the final product. If you’ve designed your site to cater only to those with ‘typical’ capabilities, you’re leaving out a large chunk of your potential audience. There are a lot of people with physical or mental impairments who might have trouble using your site, even if they could otherwise benefit from it. For instance, an image-heavy site can be a challenge for people who are visually impaired to make sense of. Likewise, those with difficulties using a mouse and keyboard can struggle with regular navigation schemes. These people often use assistive technologies to bridge the gap, but sometimes that isn’t enough. As a developer or website owner, it’s your responsibility to make sure every site you build is accessible. Besides simply being the right thing to do, this will ensure anyone who ends up on one of your pages can interact with your content – regardless of their challenges. Making your website accessible does take a little work. However, it doesn’t have to be an overwhelming task. Let’s walk through three of the best ways to start improving your WordPress accessibility right now. In order to make your site more accessible, you first need to know the elements you already have in place. After all, if you’ve never considered this aspect of web design before, you may not even be sure what to do or where to start. Using this tool, you can see exactly what parts of your site are already well-optimized for accessibility. For instance, green icons will indicate helpful features such as image ‘alt’ text. Red and yellow icons, on the other hand, point out areas that can be improved. Spending some time exploring your site with this tool will make it clear exactly what you need to work on. What’s more, you’ll learn about the basics of WordPress accessibility along the way. Improving the accessibility of an existing site can sometimes be a challenge. The layout and tools you already have in place may make it difficult or impossible to implement certain key features. For instance, your theme might not be coded with all of the options and functionality you’ll need. If you’re creating a new site, or are willing to change your site’s theme, you can avoid this issue altogether. By opting for an accessibility-ready theme, you can build your site from the ground up to be friendly to as many visitors as possible. By choosing one of these carefully vetted themes, you will be more limited in choice. However, optimizing your website for accessibility will be a lot easier. 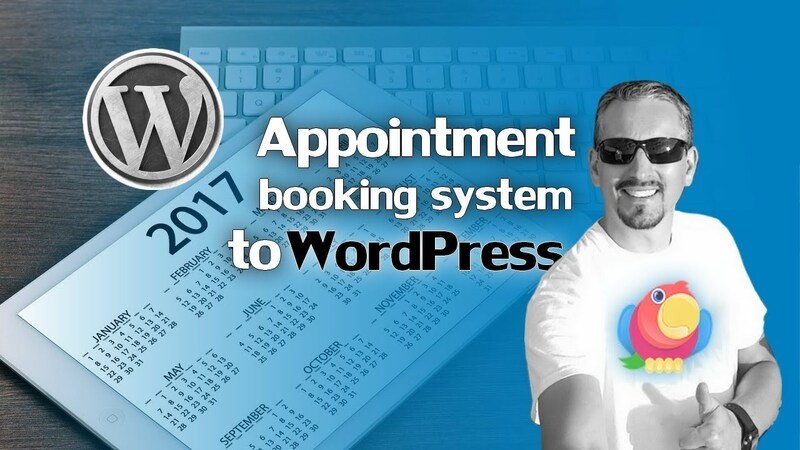 If you don’t like WordPress’ options, you can also find accessibility-ready themes in other directories such as ThemeForest. What if you’re unable to change your website’s theme? You’ll be glad to know you can still make improvements to WordPress accessibility, without any coding. While a plugin can’t change all inaccessible elements, it can help you make some key changes. This multi-featured plugin helps you optimize your site in a number of ways, and is simple to use. It will perform some tasks for you, such as removing unnecessary attributes that can confuse screen readers, and adding labels to form fields. Plus, it adds features you can use to more clearly describe images, shore up your navigation, improve color contrast, and so on. Since this plugin does many of the same things as our previous pick, it’s worth trying out both tools and seeing which one you like better. 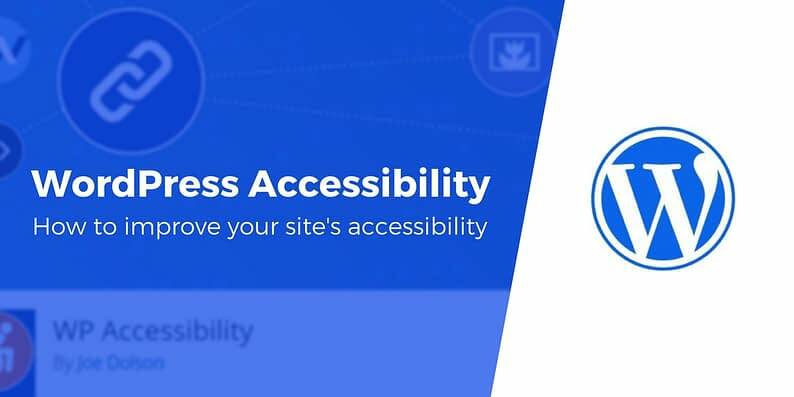 At the end of the day, any quality WordPress accessibility plugin can help you make your site a lot more user-friendly, without much effort or knowledge required on your end. For some of us, using the internet is as easy as breathing. However, that’s not true for everyone. Physical challenges and mental impairments can make navigating and using even the simplest of sites a difficult task. Test your website’s current accessibility with a tool like WAVE. Use an accessibility-ready theme if possible. Install a dedicated plugin, such as WP Accessibility. And if you want to get even more involved with WordPress accessibility, you can join the Accessibility Team to contribute to the WordPress core itself. Do you have any questions about WordPress accessibility, or how to use the tools we’ve introduced? Let us know in the comments section below!